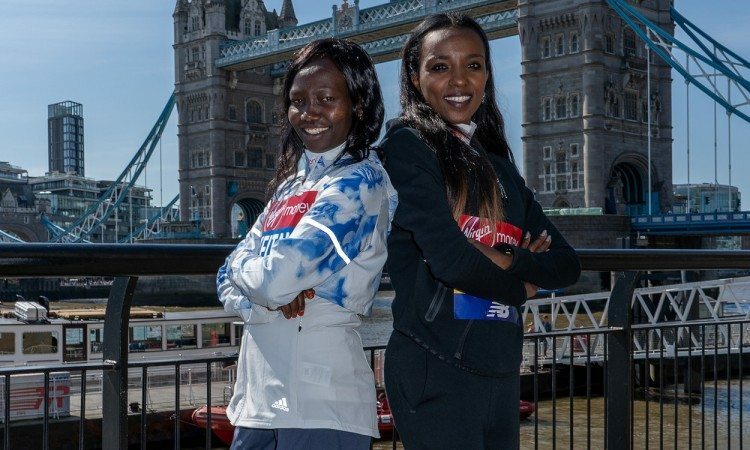 Paula Radcliffe believes that both Mary Keitany and Tirunesh Dibaba are capable of breaking her marathon world record of 2:15:25, with the British running great predicting a fierce battle for this year’s Virgin Money London Marathon title. It has been 15 years since Radcliffe set her monumental mark on the streets of the UK capital and since then no other female athlete has broken 2:17 for 26.2 miles, let alone 2:16. Keitany has come the closest so far with her 2:17:01 last year to break the women-only record but this time, accompanied by male pacemakers as Radcliffe was in 2003, the Kenyan hopes to create history once more. Radcliffe believes her record is under threat, but not only from Keitany. “It’s always been a matter of time,” she says when discussing the chances of her world record being broken this weekend. “When I set the record, I never thought it would stand for 15 years. “I can remember when I crossed the line and saw Dave Bedford (then race director) at the end, he was saying ‘we’re not going to see that beaten for a while’ and I thought ‘I could beat that’; I thought I could still improve on it. “The marathon is very much about getting it right on the day and how that pans out – you need good conditions, you need to have done the training and be in shape, and you need a bit of luck on the day as well. “But the longer it’s gone on, obviously the more attached I’ve become to it! It’s starting to feel a little bit like a part of the family,” she adds of her record. “But it’s inevitable it’s going to get beaten at some point and last year, the way that Mary ran, I thought for a lot of that race that it was under threat. “So I think she’s capable but, first and foremost, she has to concentrate on winning the race because she has a race on her hands against Tirunesh Dibaba. 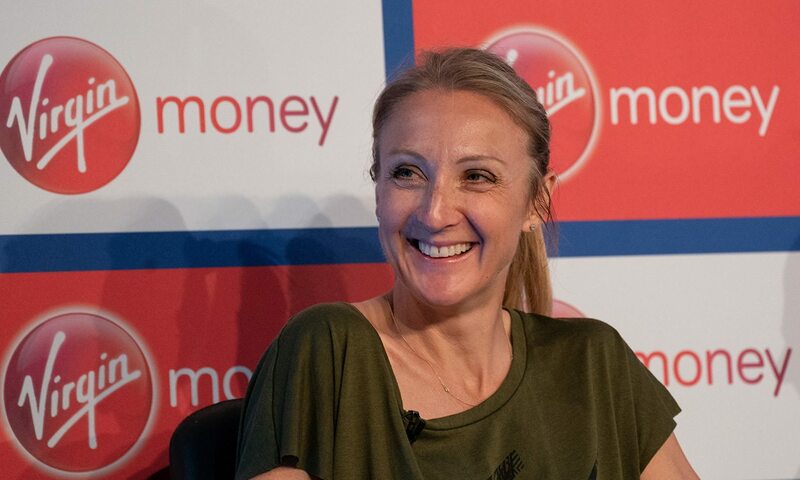 Radcliffe’s achievements at the London Marathon have led to her being named on Friday as a recipient of the new Spirit of London award and reflecting on her experiences, she says: “On that day in 2003 everything came together and it came very close to being the best that I was capable of doing. That’s why I kept working as hard as I did in the closing stages, because I was very conscious of the fact that I might never get that again – I might never get a day where everything came together. Her early memories include watching Ingrid Kristiansen on her way to a world record in 1985 and even though Radcliffe may no longer compete, running remains an important part of her life. “Growing up, every year I’d be watching on the TV and would get my own run done to be back in time to watch the race, dreaming one day of getting the chance to run in it,” she says. “For me, it’s different now. It’s not like I have to go out and I have to do a certain run. I don’t even start my watch most days. I run how I feel, and I like the social side of it, I love to run with the kids, and I like to run with my friends. “Sometimes if I’ve got a lot on my mind and I want to clear my head then I’ll just go out for a run.